Rarely do the genetics of two accomplished cannabis strains combine in one so well, as Dutch Passion's original Mazar and Blueberry did, creating the Skywalker. 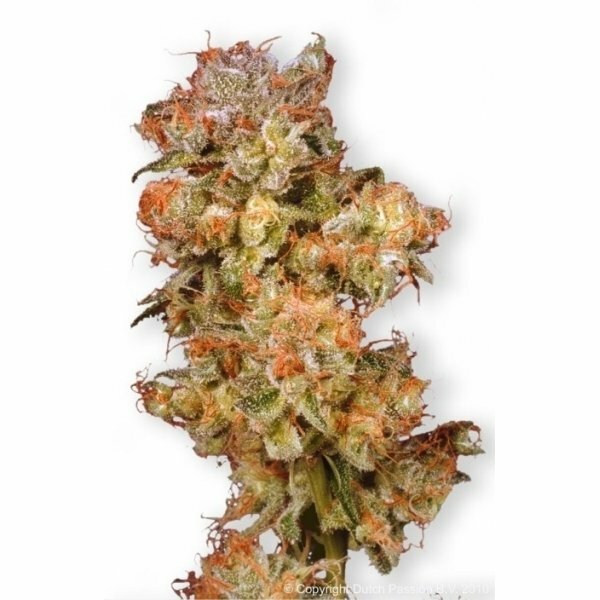 A powerful combination of the Blueberry famous taste and aroma, and Mazar's potency and yield. Parents of this amazing strain have dominated the cannabis contests for four years in row - first Mazar was awarded 2nd prize on the High Times Cannabis Cup (HTCC) in 1999, than Blueberry got first and third prize at the HTCC in 2000 and 2001 respectively, with Mazar strining back in 2002 to grab the second prize at the High Life Cup. With such a heritage, the expectations were high of Dutch Passion's feminized Skywalker, bred from the female Mazar and male Blueberry. And delivered the young Padawan did - the plant yields high, tribute to its mother, and taste just as great as its father. 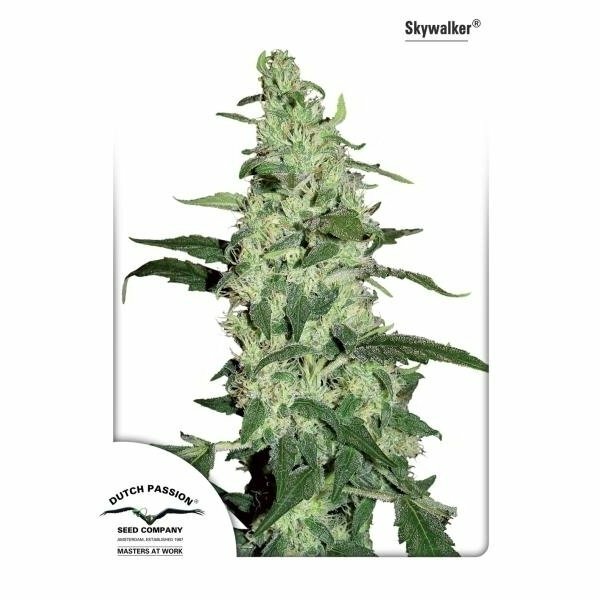 Takes approximately 8 to 9 weeks to bloom, developing compact Indica typical buds that produce lots of smell, so make sure you have your carbon filter up and running before you even consider growing the Dutch Passion feminized Skywalker. Suitable both for indoor and outdoor cultivation (though certainly not as a stealth, guerilla farming plant). A 90% Indica, with just a touch of Sativa trait, it produces an intense stone, laidback kind of relaxing. Just sit down comfortably and enjoy the sweet, fruity taste.